If you’re looking for something unique to do in Orlando this spring, we’ve got the event for you. Put on your itinerary visiting one of the best and oldest art festivals in the nation: the 60th annual Winter Park Sidewalk Art Festival located in Central Park along Park Avenue. This year’s festival runs from March 15 through 17 and features the best work of more than 200 artists. Explore their gorgeous creations in a range of mediums. From photography and digital art to leather and woodwork, there is sure to be something to catch your eye among the sea of exhibition booths. This family-friendly event features workshops to help your little ones connect with their inner artist. 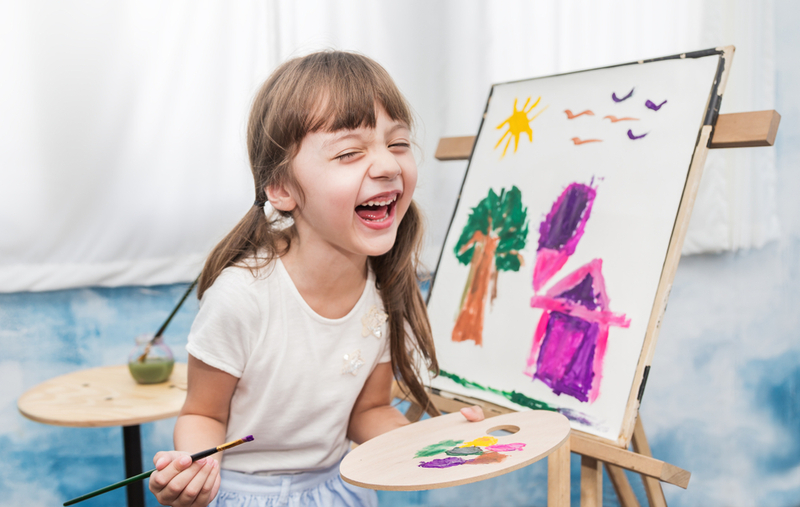 Head on over to the Children’s Workshop Village for lessons in easel painting along with other artistic activities provided by local museums and art centers. The Children’s Workshop Village is open from 10 a.m. to 4 p.m. each day of the festival with easel painting taking place on from 10 a.m. to 3 p.m. on Saturday, March 16 and Sunday. March 17. Admission to the Children’s Workshop Village is free, and all participants are welcome to take their pieces home. If you are an artist, participate in the image review workshop at the Winter Park Farmer’s Market on Sunday, March 17 from 8:45 a.m. to noon and from 12:40 p.m. until 5:40 p.m. This workshop is open to both participating and non-participating artists. If you’re interested in having your work reviewed, check out http://wpsaf.org/artists/imagereview.html for more information and email irw@wpsaf.org for an appointment. The Festival will also include live entertainment and musical performances throughout the day that are sure to delight the whole family. Visit http://wpsaf.org/index.html for more information on this year’s featured artist, programs, and directions. With everything happening at the upcoming Winter Park Sidewalk Art Festival, it’s an event you and your family will not want to miss. Make the most of your visit to Orlando by staying close to the action. There are plenty of great rooms and resort to be found with Orlando Hotels4less. Book with us online or by calling 1-886-337-6736.